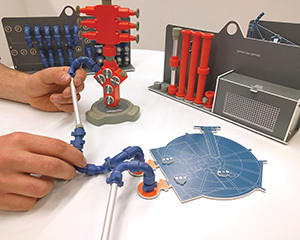 Desktop whiteboards, iPads and even 3D printed models are being used to help train today’s well control engineers. Elaine Maslin sets out the detail. From the comfort of your iPad. Photo from Learn to Drill. Well control training has come a long way in the past five years since the 2010 Macondo disaster. 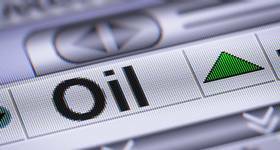 In the years since, the International Association of Oil & Gas Producers’ (IOGP) Report 476 of 2012 called for enhanced well control training, and the International Well Control Forum (IWCF) has provided new training guidance. Training is taking on a plethora of new forms and now includes human factors and team-based scenarios. Full scale simulators are being used, as well as a string of other new systems. But, simulation-based training also comes in the form of iPads/tablets, desktop white boards, 3D printed models, and on standard PCs. A few of these were on show at the IWCF’s Well Control Workshop, as part of the Offshore Well Intervention Europe conference in Aberdeen earlier this year. David Conroy, chief technical officer, at the IWCF, says that while well control events during drilling, such as kicks, have been reduced thanks to improved training, focus has shifted to activities during operations other than drilling, such as casing running, preparing the well for completion or pulling out of hole with a perforation string, during which about one-third of all kicks occur. In 2015, IWCF provided the industry with guidance on enhanced well control training aimed at providing a curriculum more suited to these kinds of well control issues. 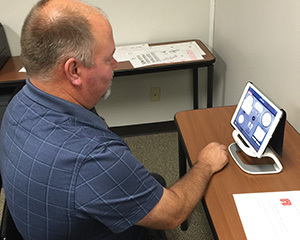 It has been working with a number of firms to implement this enhanced training, during which classroom learning is reinforced with practical, simulator-based training, using data from real-life ‘abnormal’ well control events that have either occurred or could have escalated into a more serious event. But, Conroy also thinks simulator training will be enhanced even further in future, exploiting modern technology to make scenarios more realistic and to further incorporate the team environment, recognizing the fact that well control events involve a large team of rig site- and office-based staff. Marketec’s desktop models. Photo from Marketec. 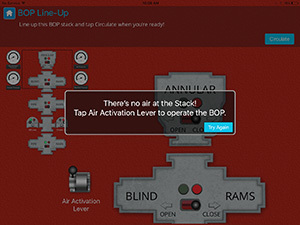 US-based Learn to Drill has developed an iPad-based workover- and well intervention-focused well control simulator, with the goal of helping to increase simulation access time. Accessible from the iTunes App Store, the simulator can be downloaded by anyone onto their own tablet or (soon-to-be) smartphone device. It can be accessed for unlimited review and refresher before, during, and after a well control class, allowing students to practice challenging and complex well control scenarios. 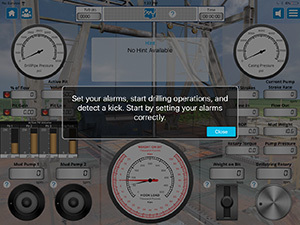 The simulator includes a series of simulations, ranging from manifold line-up to kick detection and driller’s method, all designed to match the IOGP standard of all well control simulations required for effective training. He attended a classroom-based well control class, “and hated it,” he says. “It was extremely boring and I didn’t learn anything and was left with so many questions,” he added. After graduation, he took a job as a trading analyst, and worked part-time on his training app idea, working with the International Association of Drilling Contractors (IADC), the IWCF and the accredited syllabus. Shah hired animators and drew on a network of consultants to help with technical issues and, in Fall 2013, started working full-time on the project. He’s since been making sales, including to Noble Drilling, Halliburton and Schlumberger, developed 15+ accredited courses, a series of refresh course apps, opened an office in Mumbai, India, and has a global partner, Falck Safety Services. Every simulation exercise on the app comes in three modes, Learn Mode, which has animated e-learning content and theory, Practice Mode, which guides students through the simulation with a virtual instructor, and Test Mode, which runs through the exercise with all hints and help removed. In Test Mode, scoring is given according to IADC grading guidelines. “So far, the simulation exercises have been used by several hundred students in Learn to Drill’s online IADC Accredited Workover and Well Servicing well control courses,” Shah says. 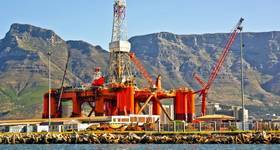 “In addition, many operators have expressed a desire to use the simulations as a competency tools: pushing students’ simulation exercises to review and refresh procedures offline, at the rig site offshore. Future plans include a much more extensive simulation suite with an added focus on coiled tubing, wireline, and snubbing as well as full multiplayer capabilities and accessibility on Android. Online learning. Photo from Learn to Drill. Aberdeen-based Marketec has something more hands on. The firm’s Scenario Learning System (SLS) uses a dry-wipe surface with system models, which are used with exercise scripts for simulation exercises – together called tabletop simulation exercises. Bruce Adam, Marketec’s operations director, says that role-based scenario training and tabletop simulation are versatile and flexible methods of training and assessment used widely in other industries, such as medical/healthcare, military, emergency services, etc. “Perhaps the closest example is the military sand box, used for both training and planning, i.e., it’s not just a training tool; it is a method of preparing for a mission/deployment,” Adam says. “In this application they shape and profile the sand to create a representation of the terrain. A good understanding of terrain is crucial for planning offensive/defensive tactics. So far, Marketec has done pilot tests and demonstrations and there’s good interest, but it’s a difficult environment to sell into right now, Adam says, with little being spent on training and recruitment. The firm launched the SLS Table and Tabletop Simulation concept in late 2014, “just at the point when the industry perspective on recruitment, training and skills development flipped from ‘need all the help we can get’ to ‘don’t need anything/can’t spend any money,’” Adam says.